Hello Neighbor is a stealth horror game with an interesting premise. 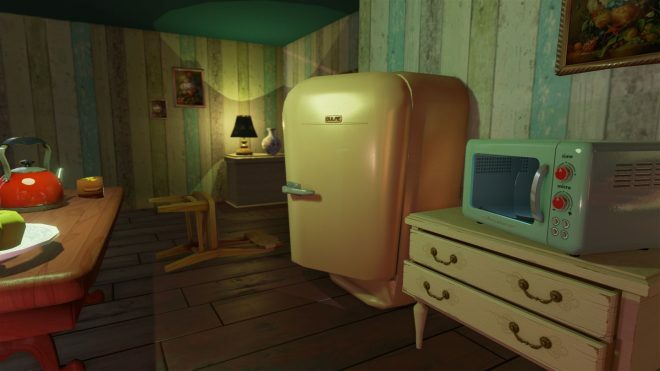 Rather than a dark asylum or haunted mansion or even an alien space craft, the game takes place somewhere a little more familiar: the little house next door. You take on the role of a young boy who happens to witness his neighbor apparently subduing someone, or something, then tossing it into his basement. Taking place over three acts, with increasingly more complex suburban homes, you’ll need to figure out how to break in and solve the mystery without being caught and left to suffer the same consequence. 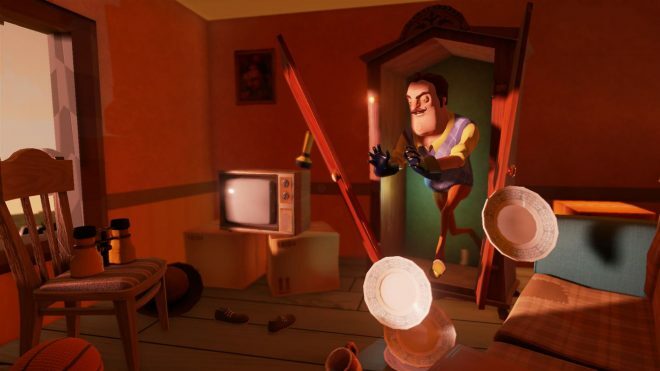 Suburban Setting – Hello Neighbor takes the familiar survival horror game, and shines a bright and colorful Pixar style light on it. It’s a good idea and makes you wonder why it’s not been done before. Most people can probably remember that one childhood neighbor, who sadly did nothing wrong other than having the audacity to be old and live alone. But bored kids make up stories, and suddenly you’re living next door to a serial murder who eats children. A clever twist on the horror genre. The game – Of course one good idea, doesn’t make a game, and unfortunately I’ve had more fun getting my teeth drilled. Obscure, illogical puzzles that are next to impossible to figure out without the aid of YouTube, make up most of the gameplay. In fact, even after seeing some of the solutions, I was convinced I was being shown a “cheese” rather than the actual answers. To make matters worse, whilst you are wandering around trying to figure out these puzzles, the so-called advanced AI (aka the Neighbor) is on you like a magnet. Being caught is mildly creepy for the first five minutes of the game, but happens so often that it becomes downright boring. There’s no real consequence either for being caught. Yes, you do return to the starting point of that level, but you get to keep any acquired items, and most of the time any actions you carried out in the area are not undone. This basically boils down to a poorly conceived puzzle game with some annoying guy who turns up now and again to slow your progress. 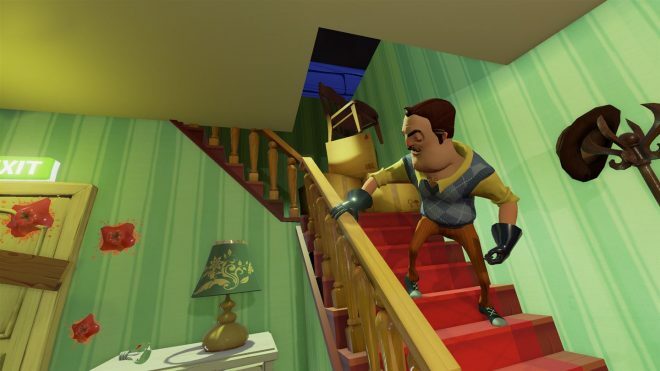 AI IQ – While we’re on the topic of the AI, one of the main selling points of Hello Neighbor is the apparent advanced AI. There were a couple of times the AI would place a bear trap in an area it thought I might be moving through, however most of the time “below average” AI would be a more appropriate description. At times I witnessed the Neighbor crashing through his own windows after spotting me in his garden, then failing to climb the porch stairs to go back inside, finally giving up and resorting to just doing exercises on the spot instead. Any broken windows were never repaired giving me easy access to the house most of the time. Later, I was spotted hiding in a cupboard, but instead of grabbing me, he got stuck on some boxes and continued to grunt and spin until I put him out of his misery and gave myself up. Anything to stop the annoying ‘danger’ music from playing continuously! He was also able to teleport from fairly long distances at times, so you can forget about running and hiding for the most part. It was also hit or miss whether the Neighbor would even turn up. I had one glorious run where he didn’t show for near half an hour of gameplay, allowing some actual exploration. On my next session however, he turned up in the first room and wouldn’t leave, meaning I was unable to progress further without another restart. Fisics – When you’re not scratching your head over the weird puzzles, the other thing you’ll be doing is some fairly dodgy platforming. We’re talking floaty physics with a cap F. At one point I climbed a bookshelf outside and floated off the map. I was then awarded an achievement, I can only assume for finding a glitch? Well that’s one way around quality control. There were also severe issues interacting with objects with several button pressed required to pick anything up. This wasn’t a one-off either. I had issues picking up every single item. 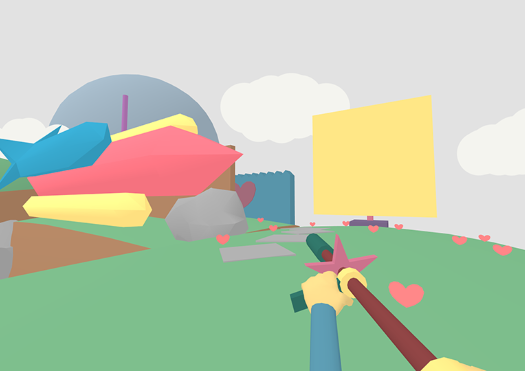 If you do manage to pick something up, you can also throw it with varying results on whether they will land where the crosshair is showing or bounce off into oblivion. Poorly presented – Sound effects are glitchy and unnatural with frequent audio popping noises to be heard. Your own footsteps are ridiculously loud yet apparently inaudible to the Neighbor, and similarly the range of the sound effects is totally off and completely unreliable. For example, you are able to hear the Neighbor breathe or grunt loudly only to find out he’s actually several rooms away. This all makes sneaking an exercise in guesswork, which considering this is the bread and butter of a stealth game, makes it completely unforgivable. Equally the cartoony graphics, while pleasant enough, are overly simplistic with some items being largely indeterminable in nature. Since the button presses were so glitchy and unresponsive, this meant it was often difficult to tell whether you were even supposed to be able interact certain things. Hello Neighbor has been through several alpha builds on PC, yet on Xbox One we’re going straight to a full release. However, in its current state with distinct lack of polish and muddled gameplay it feels more like a demo or a modders pet project than anything that should be sat on the Xbox One store. The skeptic in me also suspects that the obscure puzzle design was a deliberate choice to force some hype around the game, as players reach out to internet forums or hit YouTube to watch the many let’s play videos doing the rounds for some answers. However, unless you are a streamer yourself or of an age where you can’t play real horror games, I can’t honestly recommend this to anyone. 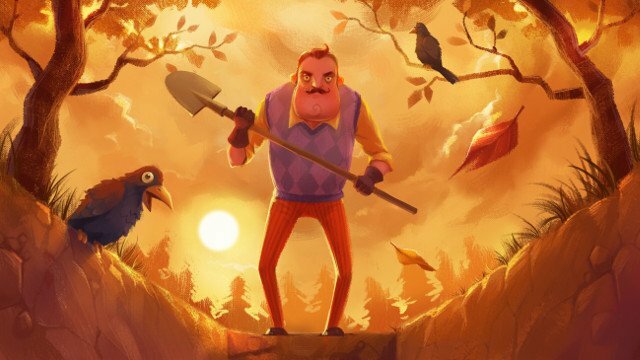 Hello Neighbor was developed by Dynamic Pixels and published by tinyBuild on Xbox One. 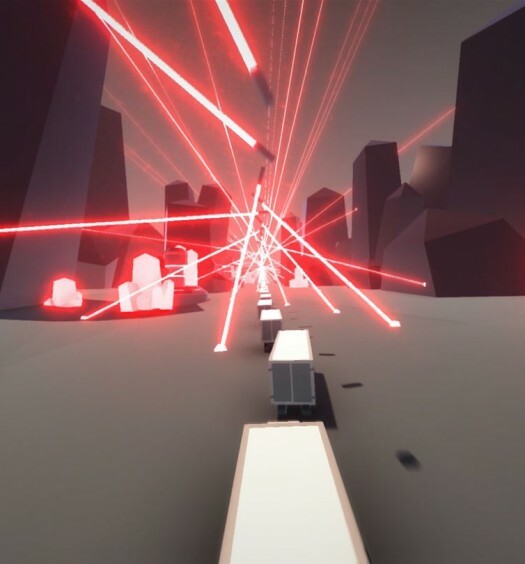 The game released on December 8, 2017, for $29.99. A copy of the game was provided for review purposes.